The Redondo Beach Crab House has been a Pier favorite since 1992. The restaurant offers an extensive seafood menu of shellfish, live crabs, lobster and shrimp. You can select your items and have them steamed and served directly at your table. 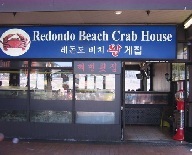 The Redondo Beach Crab House also offers great oceanfront views as well as view of Palos Verdes.